A drug dealer begged a judge to send him to prison for as long as possible – so he can study journalism while inside. Exeter Crown Court was told Ryan Fearnley, 30, said he wanted to use his time inside to study for a degree in the subject. But a judge heard that unless Fearnley, who pleaded guilty to seven offences of possessing and supplying cocaine and heroin on the streets of Exeter, got a minimum of four years the Open University would not fund his studies. According to a Devon Live report of the case, the judge obliged and sent the repeat offender to jail for that exact term, wishing him luck on his future career choice as he was led to the cells. Lee Bremridge, defending, told the court: “What he’d like is the minimum four-year term. That’s because the Open University will fund a degree if it is four years or above but they will not fund it if it is less than four years. 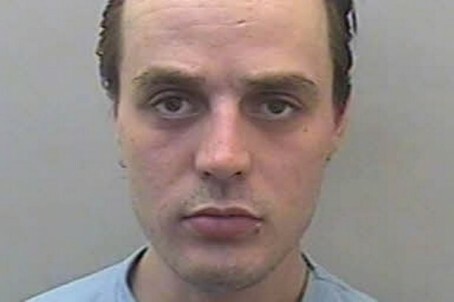 Fearnley’s offences took place over a three-month period between August and November last year. He was previously jailed for three years for similar offending back in 2015. Judge David Evans accepted Fearnley had been dealing to pay off debts from his drug addiction and had felt under mental pressure at the time, but he told the defendant his own actions had caused the problems. According to Devon Live, Fearnley thanked the judge in response. I wish the young man the best of luck. However, it reminds me that as an employer several years ago I constantly received applications from wannabe journalists. I was baffled because most of the applicants were totally unsuitable but I still wrote back with the usual career advice and paths. I stopped responding when it was pointed out the majority were jobseekers looking for proof of their “efforts” to retain benefits! As if a jail term wasn’t punishment enough…. Blimey – I thought prison was for rehabilitation and building a viable future? I hope they can offer him some careers advice too! Shame the judge didn’t jail him for 47 months rather than enable him to pursue a degree that will get him nowhere. With two jail terms for peddlling hard drugs, he’s almost unemployable in journalism – and that’s disregarding the carnage on newsfloor and the country being awash with seasoned but jobless former hacks. If he wants to get off the slippery slope, he should try learning how to do a job in which he has a realistic prospect of work. I’d suggest self-employed plumber or electrician on the basis that you still can’t get one for love nor money. Nursing seems to require a degree – but he’d never be trusted with the medecine cabinet. He could be hoping for one of those ‘poacher turned gamekeeper’ jobs and make a career out of telling schoolkids how not to do what he has done. You’d think that market would be saturated, given they pop up everywhere!